Santa has arrived! 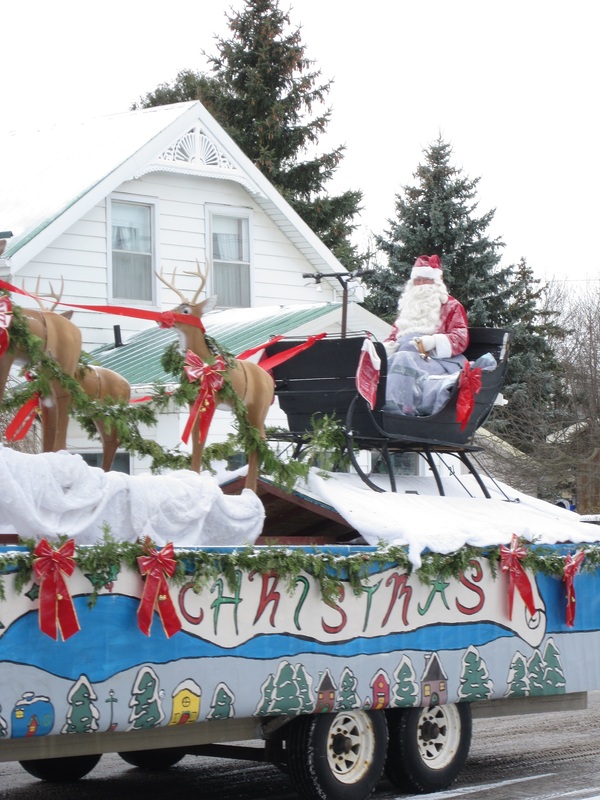 This time of year many communities in the area have their annual parades. 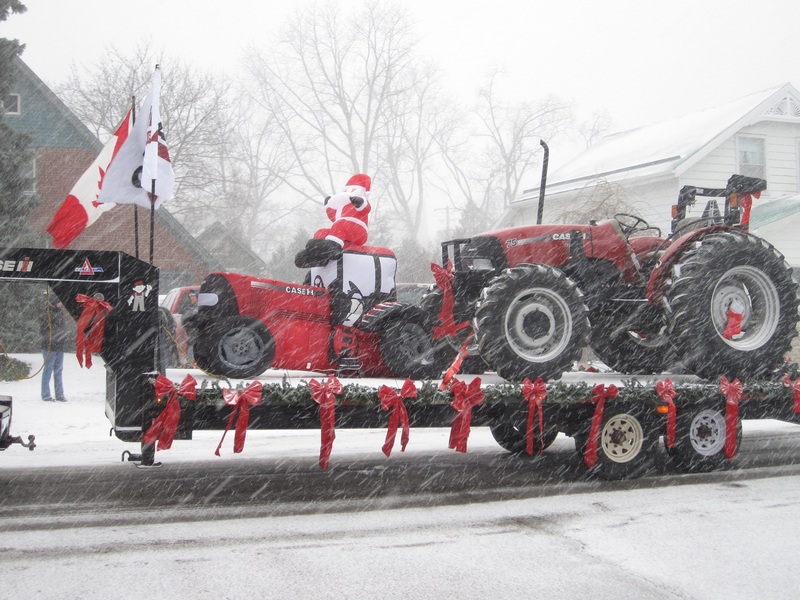 This past Saturday was the annual Christmas Parade in Exeter. 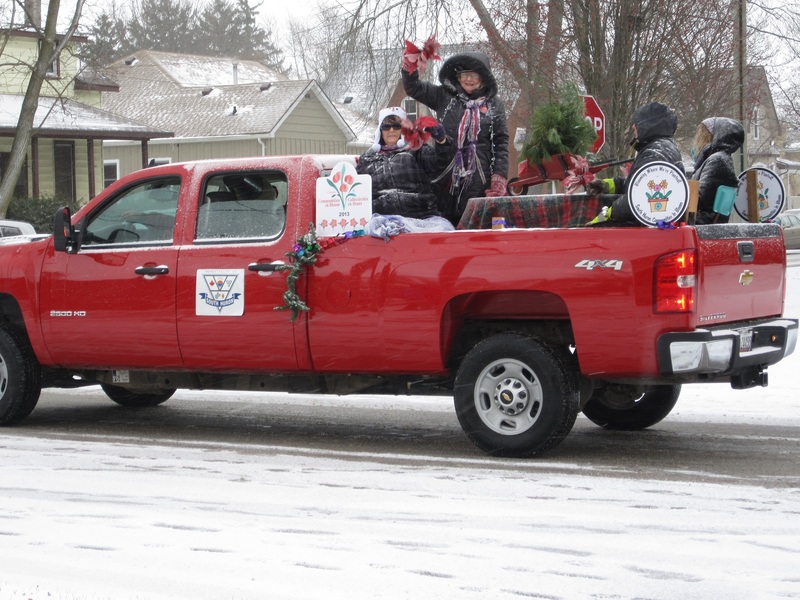 The Parade is hosted by the Exeter Lions Club and financially supported by the Exeter Business Improvement Association (BIA). If you don’t know what the BIA is, watch this video showing some of Exeter’s unique businesses! 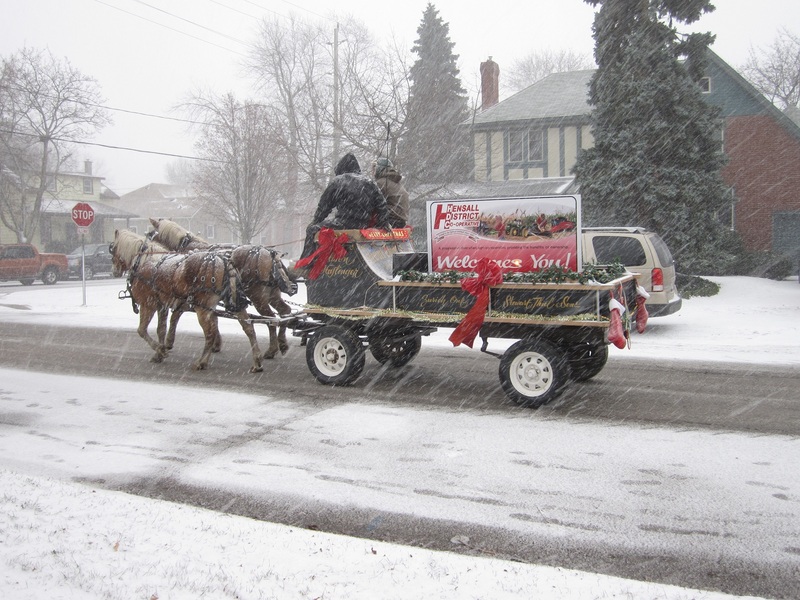 I watch the parade every year, and this time the weather was very cold and snowy. 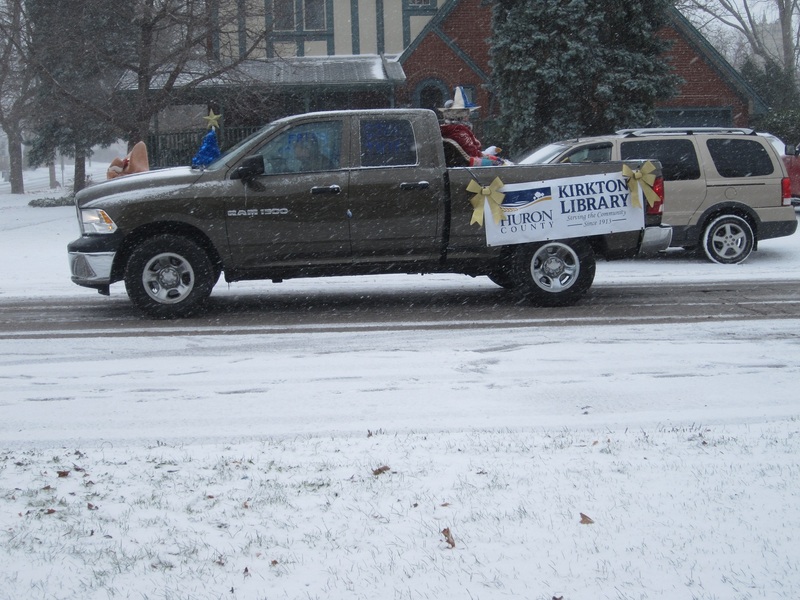 However, that didn’t stop the businesses, organizations, volunteers, and residents from braving the weather and putting together a wonderful parade that lasted about 40 minutes. 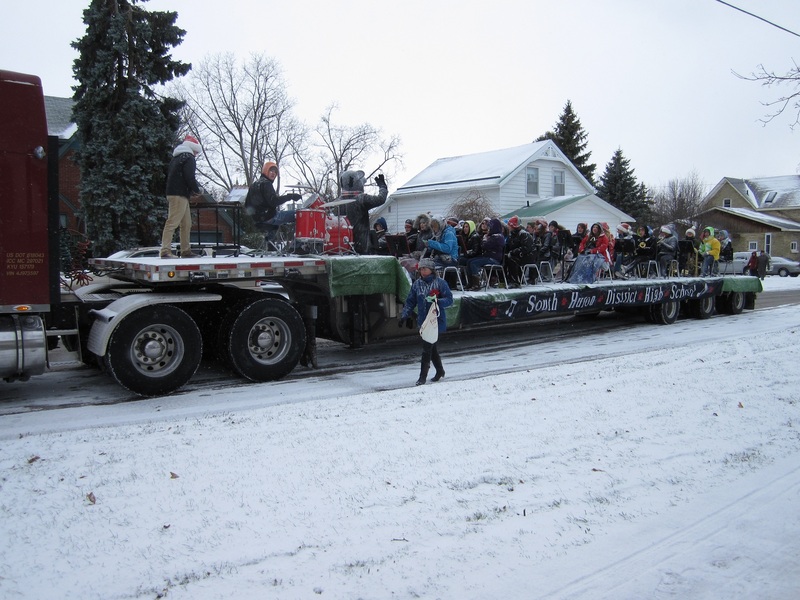 Once the parade ended, the skies cleared and the snow stopped. Go figure! 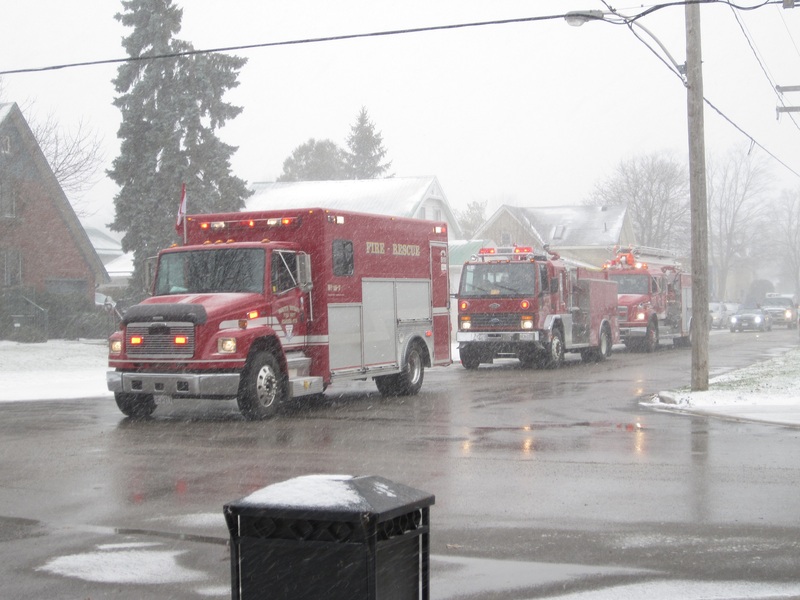 The parade starts at Huron Street, makes it way down Main Street, and then turns on Victoria Street towards the South Huron Recreation Centre. After the parade, there was free public skating at the Rec Centre. Some of the highlights were cute dogs dressed up as reindeer, Willis the White Wonder, and of course, Santa Claus himself!